April 18, 2016 April 7, 2018 - by Gold Cochin - 4 Comments. 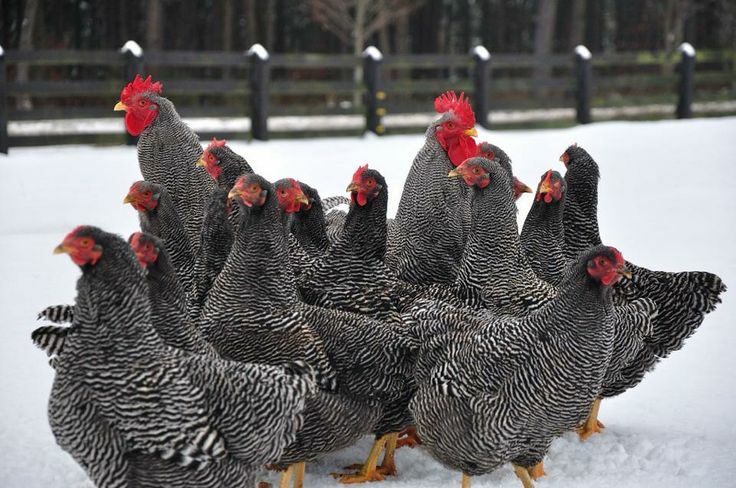 As another Monday comes we at the typesofchicken.com team already announced that as a part of our weekly pros and cons articles for this week we will proudly present to you the Pros & Cons Of Keeping Plymouth Rock Chickens. As we have said before, we write our articles based on our own personal experience and on research. 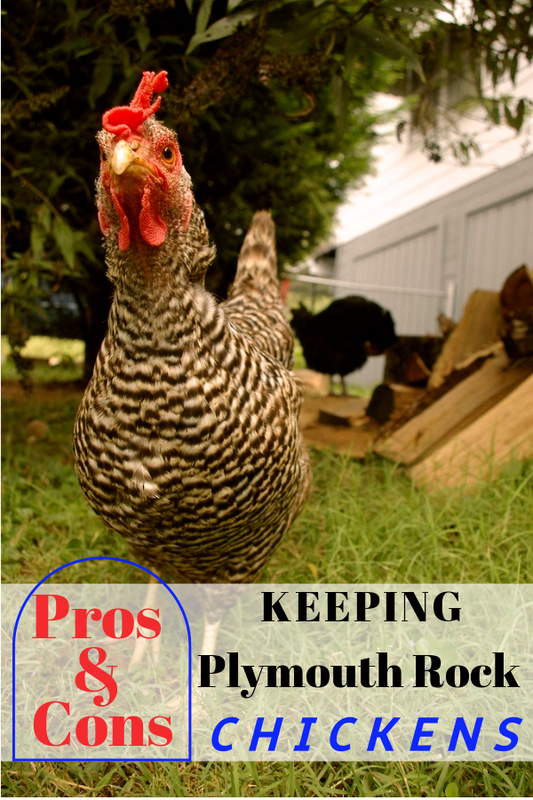 Plymouth Rock is one of our favorite chicken breeds next to the Cochin so we hope that you don’t mind a bit of exaggeration from our side on the Pros list. What I mean when I say a positive breed is that I never had experience with a lazy Plymouth Rock chicken. This breed simply enjoys life my children always ask me to expand our flock with more Plymouth Rock chickens. This is something I consider to be a big Pro for this particular breed. 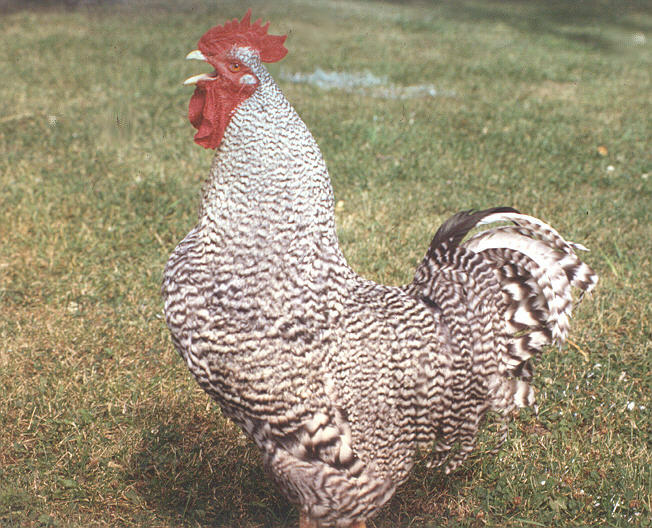 This breed is capable of providing you with a large number of eggs. If you have the means to provide them with the nutritious materials needed for a chicken to lay quality eggs you will more than surprised with the outcome. This breed is highly adaptable to outside factors around the subject of their residence. They can live a good life and enjoy it in and out of the coop. This makes them very good egg layers during the winter. Another thing that makes this breed special is that they can also be great layers during the summer also. The first chicken that fell asleep next to my dog was a Plymouth Rock. The sight of these animals just enjoying each other company was one of those things that got me thinking that there is more to chicken keeping than eggs and meat. Plymouth Rock chickens also became a favorite breed of my children as I mentioned before. This is the only Con that I could find about this breed, that some chicken breeders complain about the Plymouth Rock chickens can be bullies. I think that this is a problem due to their ego – everyone that I found complaining about the bullying that comes from this breed said a different reason for bullying. Some people complain that this breed can be particularly enraged at newcomers in the flock and some complain that this breed can be particularly enraged at younger chickens from the flock. I think that the problem with the Plymouth Rock chickens bullying comes from their ego, they are easy to spoil. They enjoy petting more than other breeds and I think that the keepers constantly make them feel special. This is the reason why people complain about the bullying. Previous Article Toys For Your Chickens – For Better Entertainment In The Coop! Next Article How Not To Check Your Chicken Gender – 3 Worst Methods!!! That is a Barred Plymouth Rock. Much different from a While Plymouth Rock. We just got 25 of the latter and they’re super flighty, not at all like the Barreds. (I love the Barreds, my top favorite pullet while I love the Gold Lace Wyandott cockerels for friendliness) The White Rocks are excellent foragers, so I guess that’s why they’re so flighty (yes, things are out there that will eat them). Now that they’re out of the brooders and into the tween pen (between poults and pullets) they’re very active and outside while the other 50 birds (New Hampshire and RIR) are still hiding in their ‘coop’. -two different pens, some NH and RIR are with the White Rocks and still they don’t get out as much. As a testament to the winter hardiness of the Barred, one of ours survived three days under 34″of snow in the 2016 nor’easter. She apparently just sat down in the middle of the blizzard (maybe not the brightest of birds) and dug herself out three days later, none the worse for wear. We now call her JC after rising on the 3rd day.